Using SAS at SAS: The power of experimentation using SAS Customer Intelligence 360 was published on Customer Intelligence Blog. Using SAS at SAS: The power of web optimization with SAS Customer Intelligence 360 was published on Customer Intelligence Blog. When it comes to the SAS web experience on sas.com, support.sas.com (and more), we have a vision and mission to create experiences that connect people to the things that matter – quickly, easily and enjoyably. You could say that we’re a user-task-focused bunch of web people here, and so whether you’re a web visitor to SAS researching a solution area or evaluating a product, looking for how-to content or applying for a job, our goal is to make sure you complete that task easily. Using tools like SAS Customer Intelligence 360 helps us do this by allowing us to take the guesswork out creating the most optimized web experiences possible through it's IA, machine learning, omnichannel marketing and analytics and more is all the rage – and for good reason – don’t lose sight of the power and impact of good old fashioned a/b and multivariant testing. If you think of your website as a product, and think of that product as being comprised of dozens, maybe hundreds of small interactions that users engage with – imagery, video, buttons, content, forms, etc. – then the ability to refine and improve those small interactions for users can have big impact and investment return for the product as a whole. Herein lies the beauty of web testing – the ability (really art and science) of taking these small interactions and testing them to refine and improve the user experience. So what does this look like in real life, and how to do it with SAS Customer Intelligence 360? On the top right corner of the sas.com homepage we have a small “sticky” orange call-to-action button for requesting a SAS demo. We like to test this button. A button test? Yes, I know – it doesn’t get much smaller than this, which is why I affectionately refer to this particular button as “the little button that could.” It’s small but mighty, and by the end of this year, this little button will have helped to generate several hundred demo and pricing requests for sales. That’s good for SAS, but better for our site visitors because we’re helping to easily connect them with a high-value task they’re looking to accomplish during their customer journey. How do we know this button is mighty? We’ve tested a ton of variations with this little guy measuring CTR and CVR. It started off as a “Contact Us” button, and went through a/b test variations as “Connect with SAS” “How to Buy” “Request Pricing” as we came to realize what users were actually contacting us for. So here we are today with our control as “Request a SAS Demo>"
First, you set up a message or creative. Easy breezy. Activate it, let it run, get statistical significance, declare a winner, optimize, rinse and repeat. So now let’s take our testing a step further. We’ve tested our button to where we have a strong control, but what if we now refine our testing and run a test targeted to a particular segment, such as a “return user” segment to our website - and test button variations of Request a SAS Demo vs. Explore SAS Services. Why do this? The hypothesis is that for new users to our site, requesting a SAS demo is a top task, and our control button is helping users accomplish that. For repeat visitors, who know more about SAS, our solutions and products – maybe they are deeper in the customer journey and doing more repeat research and validation on www.sas.com. If so, what might be more appropriate content for that audience? Maybe it’s our services content. SAS has great services available to SAS users - such as Training, Certification, Consulting, Technical Support, and more. Would this content be more relevant for a return user on the website that's possibly deeper in the research and evaluate phase, or maybe already a customer? Let's find out. Setting up this segmentation a/b test is just like I noted above – you create a spot, build the creative, and set up your task. After you have set up the task, you have the option to select a “Target” as part of this task, and for this test, we select "New or Return User" as the criteria from the drop down, and then "Returning" as the value. Then just activate and see what optimization goodness takes place. So, how did our test perform? I'll share results and what we learn from this test in the upcoming weeks. Regardless of the results though, it's not really about what variation wins, but rather it's about what we learn from simply trying to improve the user experience that allows us to continue to design and build good, effective, optimized user experiences. Tools like SAS Customer Intelligence 360 and it's web testing and targeting capabilities allow us to do that faster and more efficiently than ever. 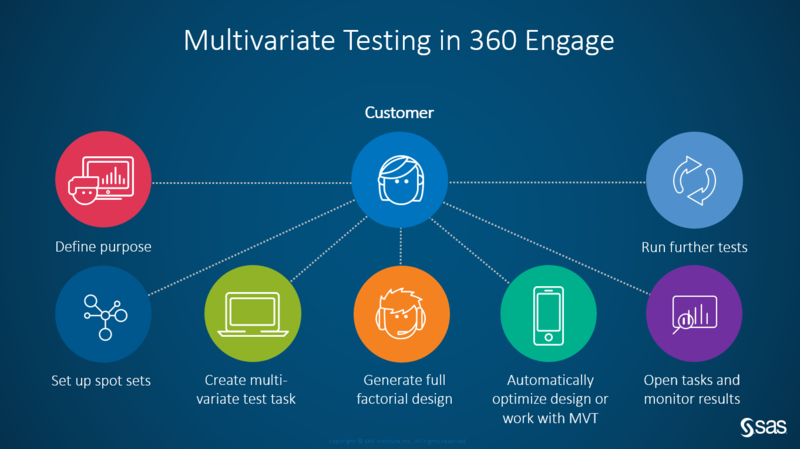 Using SAS at SAS: SAS Customer Intelligence 360, a/b testing and web optimization was published on Customer Intelligence Blog. 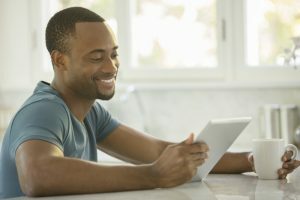 For those of you using SAS Customer Intelligence 360, or generally just interested in the space around web content targeting and personalization capabilities, I wanted to share the latest with what we’re doing at SAS. As the SAS web experience division, we use SAS Customer Intelligence 360 on sas.com for data collection and a variety of a/b testing and content targeting. One of the things we’re starting to use it for is industry segmentation and targeting. Not in a creepy, over-the-top kind of way, but more subtle; in a way that helps to improve the user experience on sas.com. One of the larger user segments we have on sas.com are academic-related visitors – students, educators and researchers. That’s great for us, because these are important users of SAS. The other good thing is that we already have great content and resources for those visitors on sas.com as part of our SAS Academic Program section. The challenge and opportunity is: “How do we surface that relevant content to the right user, in a way that then allows them to find what they’re looking for quicker, easier and more efficiently?” That's good for our users and good for us. For us, part of the answer is to use SAS Customer Intelligence 360 targeting features that allow us to identify the right user, and deliver the right message. We set up a spot in SAS Customer Intelligence 360. A spot is a place on a web page where we’ll target and deliver content to. In this instance, the spot we created is the feature banner spot on the sas.com homepage. Then we simply set up the creative. The creative is the content we'll use to deliver to the spot we created. For this targeting, we created a new homepage feature creative that is designed specifically for our academic segment – students, educators, researchers – and drives them to a specific call to action to our SAS Academic Program content on sas.com. So most visitors will see a standard promo about X, while students and educators will see the page below. Lastly, we create the web task. A web task allows us to target content to the website visitor and collect insights and data performance. When we set up this task, one of the steps is to create rules for targeting as applicable. For this experiment, we chose to target by industry group, one of the targeting options within SAS Customer Intelligence 360 that allows us to select an industry group SIC code (Standard Industrial Classification codes). We selected education services. We also created a targeted rule (see the image below) for any referral traffic that comes to sas.com from a top-level domain URL ending in ".edu", since we have a good number of backlinks to sas.com from academic institutions who use SAS. Once activated, SAS Customer Intelligence 360 recognizes a users IP and associated SIC code, or referral URL, that identified them as a visitor from an academic institution. It then places place them into our segmentation bucket and displays our targeted content and experience. There's a ton more we can do around this, but to get up and running it's incredibly easy and and proving effective (see the performance tracking below). If you're interested in learning more, here are the latest and greatest in free tutorials and SAS Customer Intelligence 360 documentation. Using SAS at SAS: 3 simple steps to better web content targeting was published on Customer Intelligence Blog.